Ask the Experts: Does Proactiv Really Work? Celebrities including Katy Perry, Kelly Clarkson, Avril Lavigne and Jessica Simpson have all spent their time endorsing Proactiv as the secret to their flawless skin. But since many people who don’t have Photoshop or professional makeup artists to retouch their every blemish have seen less than favorable results, here’s a breakdown of what Proactiv actually does and which kinds of skin it can help, without the glitz and glam of celebrity endorsements. According to the infomercials, Proactiv’s first step is the exfoliating renewing cleanser. This is a great first step because it can break up oil and dead skin cells that could otherwise clog your pores. However, the exfoliating beads in Proactiv’s formula sometimes just aren’t enough to get a good scrub. Compared to other exfoliations, Proactiv’s formula is a little less forceful than a soft washcloth. If you have sensitive skin that gets upset by any abrasion then you might want to look into Proactiv, but if you have sensitive skin you most likely don’t have acne. Acne-prone skin is usually a little less sensitive because your body is prone to producing more oil that can keep your skin strong and healthy. 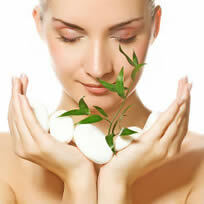 This step is supposed to penetrate the pores after you have unclogged the openings of dead skin cells and oil. Surprisingly, this is one of the most effective parts of Proactiv’s formula. While many people focus only on cleansers that use soap and water, or on ones that use a swab or cotton ball, it has been found to be very effective to combine the two. Sometimes, people with acne find that even though they wash their face 2 or 3 times a day, their skin still gets infected with new zits. This is generally because washing the face will open the pores, making bacteria even more prone to enter and cause acne. Using a toner, such as the one found in Proactiv, has been found to not only clean the pores, but seal them as well for at least a couple of hours, giving your skin more protection against new infections. 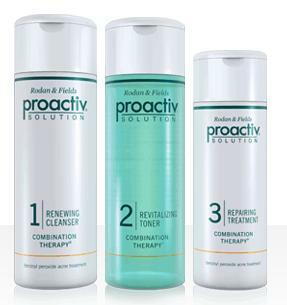 This third treatment is one of the most important of Proactiv’s system because it stays on your face the longest. Ideally, the repairing treatment is supposed to penetrate your pores and fight any infections that you may already have, without drying out your skin. This is done through a small dose of benzoyl peroxide (2.5%) and other ingredients that are very similar to an oil free lotion. 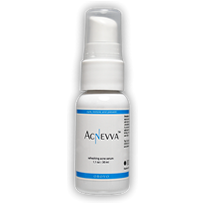 Although this repairing treatment might be great if you have very light acne and have a propensity toward dry skin, most people have found that the benzoyl peroxide content just isn’t enough to make a considerable difference in their skin. Even acne-treating toners from the grocery store have at least 5% benzoyl peroxide, and some prescriptions have 10-15% of the bacteria-fighting chemical. 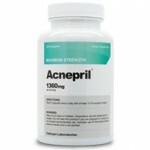 So if you have cystic acne, or large affected areas, the repairing treatment might not be the best treatment for you. All in all, there are many good aspects about Proactiv, but before you buy their product, be sure to research it thoroughly. Just because you like a certain celebrity, doesn’t mean you have the same skin as them.